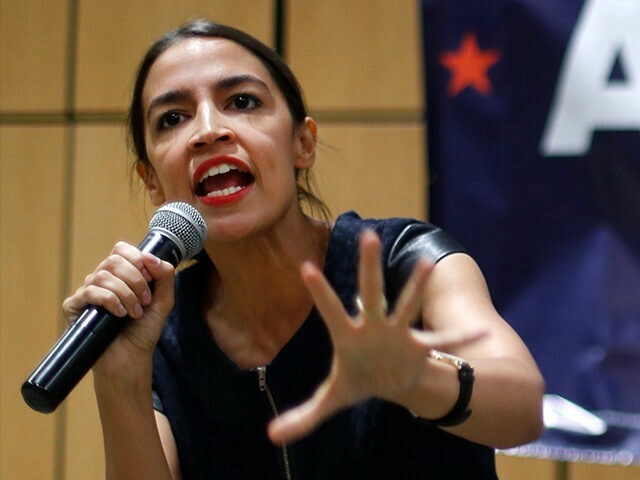 Alexandria Ocasio-Cortez, the Democratic-Socialist who will most likely be the youngest member of Congress next year, believes it is a “no-brainer” that President Donald Trump should be impeached. On his Real America with Jorge Ramos show on Facebook Watch this week, the Univision anchor asked Ocasio-Cortez whether she wanted to impeach Trump once she got to Congress. Top Democrats like House Minority Leader Nancy Pelosi (D-CA), aware that impeachment is not a popular issue among Americans, has previously said that talk of impeachment before the midterms would be a “gift” to Republicans. But left-wing Democrats like Ocasio-Cortez, egged on by the party’s left-wing base that may not settle for anything less than impeachment if Democrats take back the House, have been ignoring Pelosi’s warnings to be disciplined and not talk about impeachment before Special Counsel Robert Mueller concludes his investigation.